Thank you to all our supporters for your time, passion and funding. Here is a shapshot of just some of the great conservation work you've helped WWT achieve in the last three months. In Madagascar, WWT and Durrell reintroduced one of the world’s rarest birds, the Madagascar pochard, into the wild for the first time. 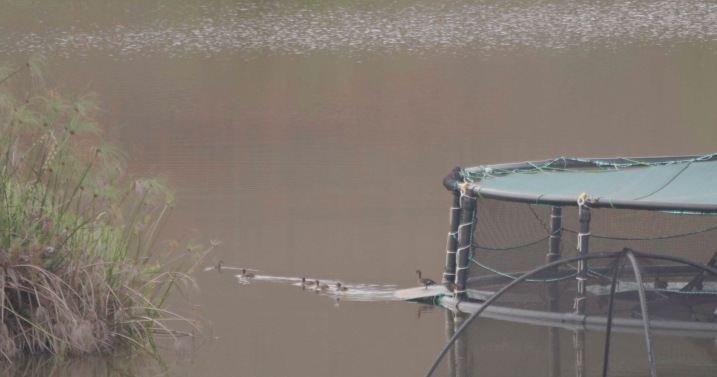 21 ducklings were placed in a specially-made floating aviary which will give them safe refuge as they get used to life in the wild. In China, WWT Chief Executive Martin Spray was one of only two non-government representatives appointed to manage the future of the most threatened bird migration route on the planet. The East Asian-Australasian Flyway Partnership’s Management Committee has an oversight role for conservation work all the way from Alaska and Russia in the north to Australia and New Zealand in the south. In Cambodia, there is news from two wetlands where WWT is working. Anlung Pring has been placed on a shortlist of potential sites in the country to be designated as Ramsar sites, thus receiving international protections. Meanwhile at nearby Boeung Prek Lapouv, a map has been produced to bring together habitat, biodiversity and livelihood information to support new zonation of the site in 2019. In the United Arab Emirates, WWT and partners presented an open letter to the global Ramsar Convention to protect wetlands, urging greater action to include wetland conservation in world attempts to tackle climate change. In the Netherlands, we presented our work to “headstart” one of the UK’s rarest breeding birds, the black-tailed godwit, at an international wader study group conference. Three of the birds we reared and released were also spotted in France, demonstrating the hand-reared birds are migrating as successfully as their wild-hatched counterparts. In the South West of England, it was a record year for reintroduced cranes with 25 chicks fledging successfully, produced by 54 pairs. These are record numbers for cranes since they were last widespread across England in the 1600s. WWT Chief Executive was appointed as Chair of England’s largest wildlife coalition, Wildlife & Countryside Link. WCL provides a joint voice in Westminster for 49 conservation organisations including National Trust, WWF-UK and RSPB, as well as around 8 million members. 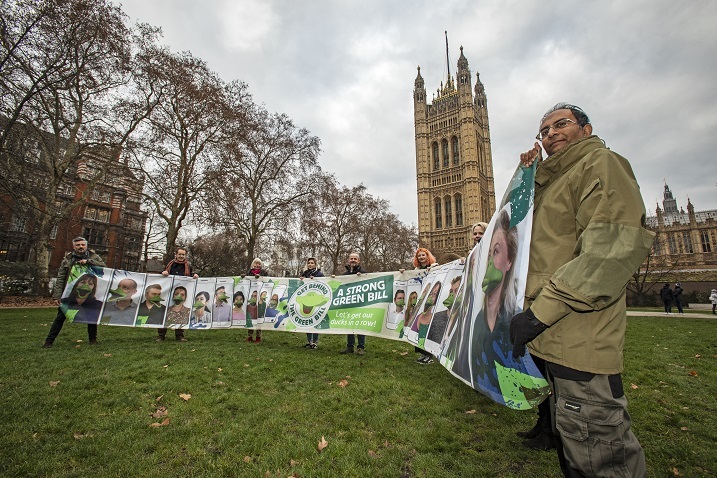 At Westminster, WWT staff and volunteers unveiled a banner calling for a strong Green Bill, backed by thousands of online e-actions. Later that week the Government published its draft Environment Bill. In Cardiff, WWT welcomed the decision by Welsh Government to ban the shooting of Greenland white-fronted geese. There are similar plans to ban its shooting in England, which would see it finally protected in every country along its migration route. At London, a survey for water voles found around 88 of them in the reserve, with two main colonies in the Waterlife and Wildside areas. WWT has created enough perfect habitat for them that we hope the number might rise to as high as 200 in coming years. 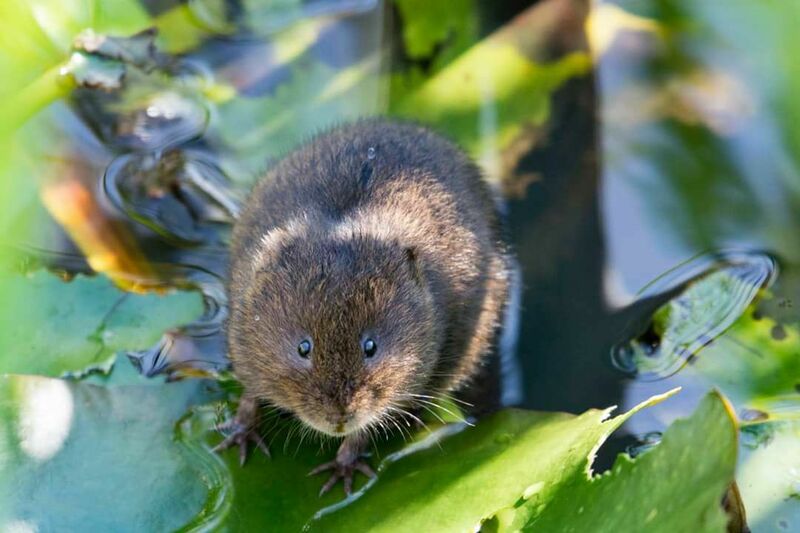 Water vole photographed bt Karen Diton. Also at London, a new “wild walk” is now open. Its finale is a flexible wooden bridge slung low enough to be able to bounce on it so it splashes in the water. At Slimbridge, 20 adult eels were caught and fitted with tags. A reader attached to a water channel leading to the River Severn will record if or when the eels “check out” to depart to the Sargasso Sea to spawn. This is part of a project to find out how well eels are managing to get past flood barriers to move between rivers and the sea. Also at Slimbridge, external works to renovate Sir Peter Scott’s house and studio were completed ahead of migratory birds arriving to spend the winter outside its windows. The house is due to open to the public in late 2019.